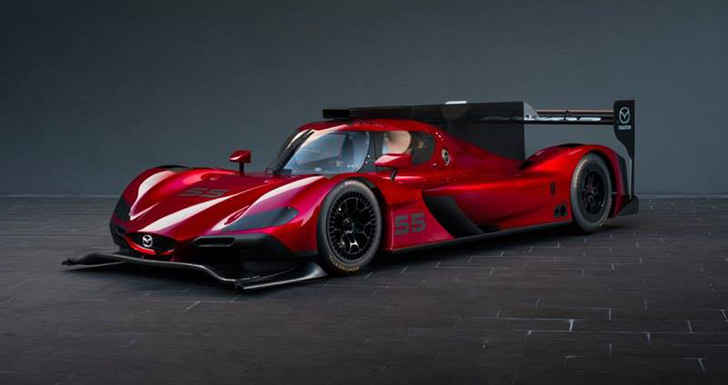 Mazda hit the Los Angeles Auto Show out of the park this week with their latest IMSA racecar, the RT24-P. 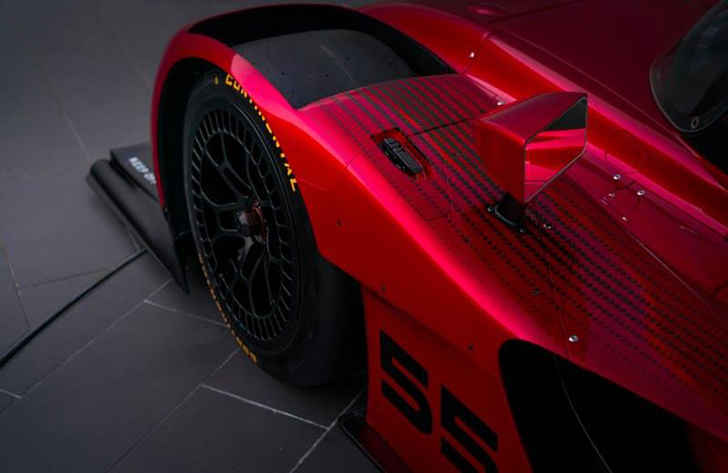 The new Mazda RT24-P will compete in the IMSA prototype class Daytona Prototype International (DPi). 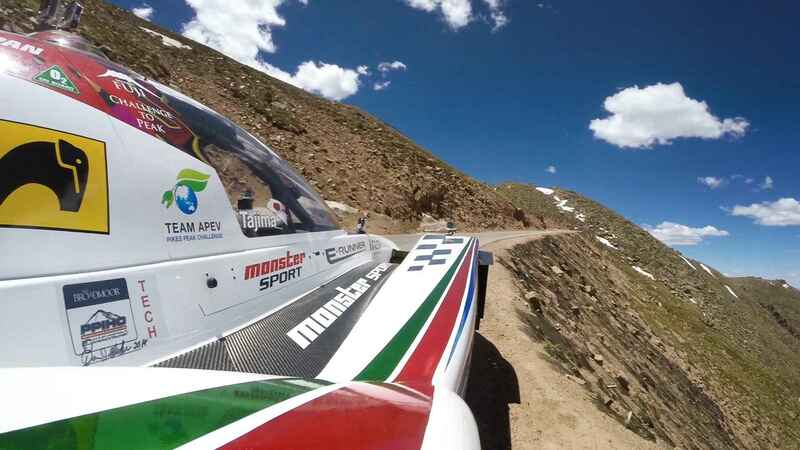 The DPi class is the highest class in the IMSA WeatherTech Sportscar Championship. The difference in the RT24-P to a normal LMP2 car is that an LMP2 car uses standard v8 engines, bodywork and chassis from 4 vendors. 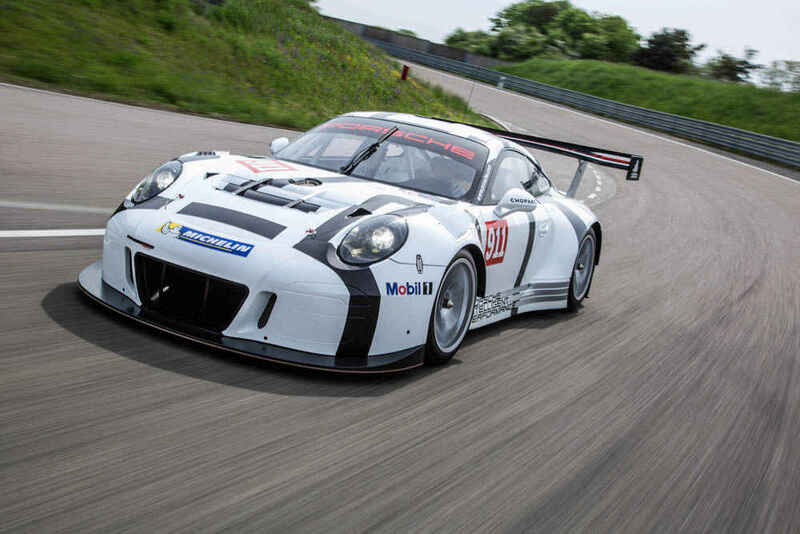 The RT24-P will use its own engine configuration and bodywork by Mazda Motorsports. 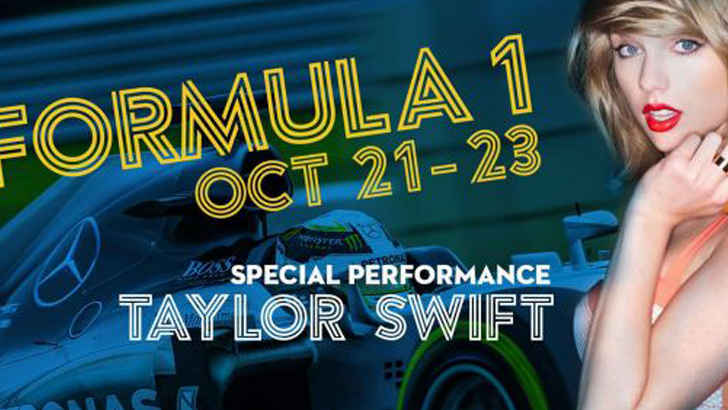 Where does the RT24-P name come from? 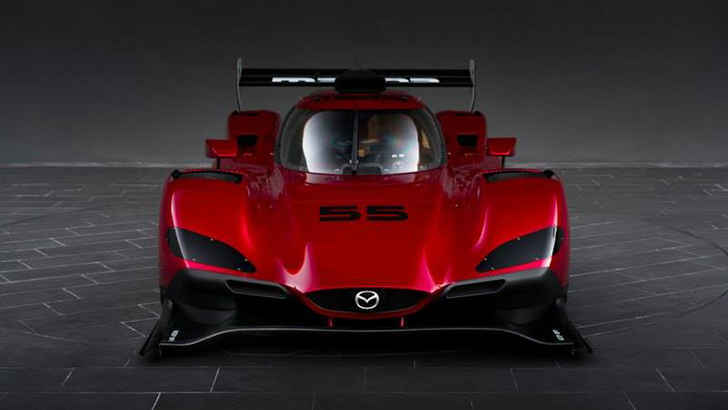 Well, it is explained from the Mazda Road to 24 driver development program and the “P” is for prototype while the “24” stands for the 2.0-liter turbocharged engine that is an inline-four cylinder. 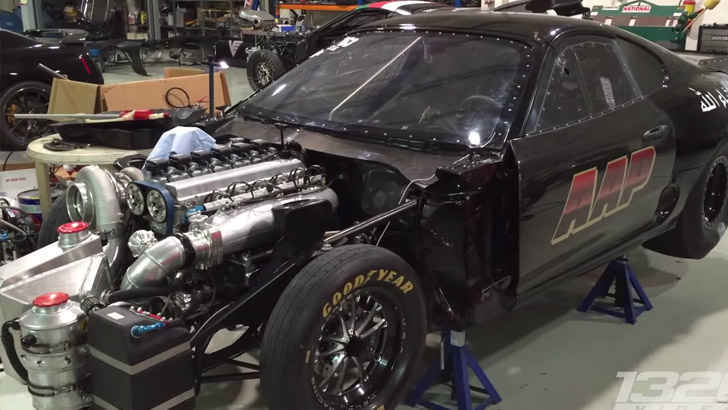 The engine is said to create upwards of 600 horsepower. 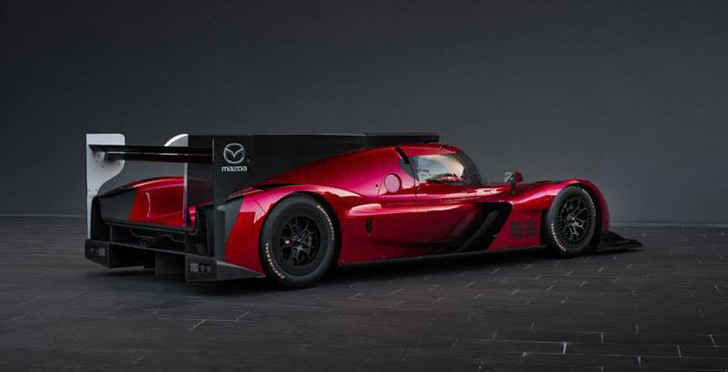 The LMP2 chassis will still be constructed by Riley but Mazda will develop the bodywork that wraps the Riley chassis. 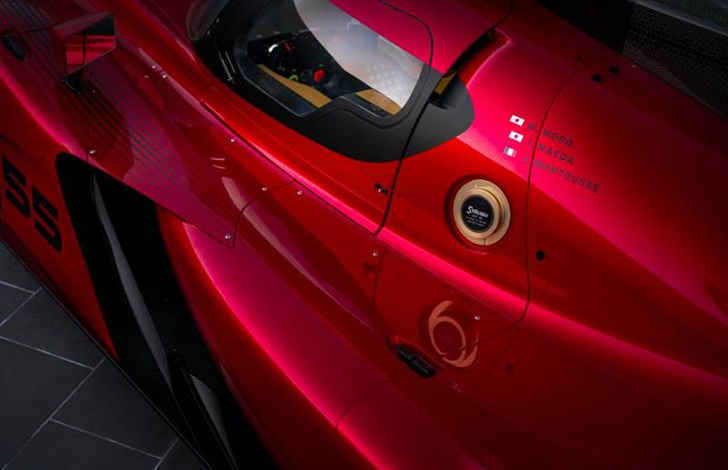 Mazda and Canadian engineering company Multimatic have collaborated in making this stunning and flowing aero pieces. Sexiest Photos of Formula 1’s Carmen Jorda!